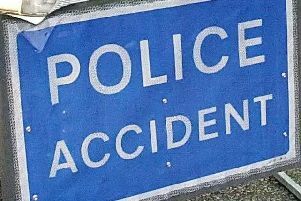 A number of people have been injured in a serious crash on the A17 this afternoon, Thursday May 19. Police are advising motorists to avoid the A17 Station Road at Swineshead Bridge. The road is closed in both directions at the Bicker Bar roundabout and at the junction with the Boardsides turnoff. Diversions are in place. The collision appears to have involved four army trucks. Four people have been trapped inside the vehicles. Fire crews from Donington, Kirton, Boston, Spalding and the Urban Search and Rescue team are in attendance along with police and ambulance.